How many of you were as shocked as I was when word got out that Puff Daddy was dropping a mixtape? Not an album, a mixtape. Not a common move for a rap mogul and multimillionaire, but Puff can do whatever he wants at this stage in the game. 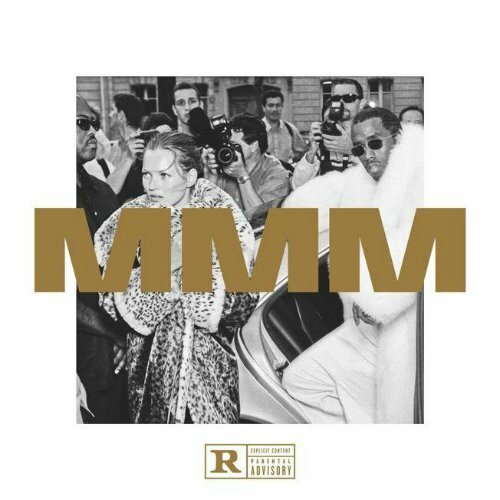 On November 4th, which was Diddy's 46th birthday, he released the cinematic MMM as a free stream on SoundCloud (above). MMM stands for "Money Making Mitch." According to Puff, the mixtape is a "sonic motion picture" that personifies the hustler spirit. It was largely inspired by the 2002 movie Paid In Full, which detailed the lives of three hustlers from Harlem named Alpo Martinez, Rich Porter, and Azie "AZ" Faison. Rapper Cam'Ron portrayed Alpo with the name "Rico," actor Wood Harris portrayed AZ as "Ace," and Mehki Phifer played Rich as "Mitch." Guest appearances from Jadakiss, Styles P, Big Sean, Travis Scott, Ty Dolla $ign, French Montana, Future, Lil' Kim, Pusha T, Wiz Khalifa, King Los, Sevyn Streeter, Brucie B, Gizzle, Tish, and Zoey Dollaz are included on the MMM mixtape. The project's highlights are "Help Me," "Everyday (Amor)," "You Could Be My Lover," which samples Cody Chestnutt's "Boylife In America," "Workin," and "Money Ain't A Problem, which directly samples "Renee" from the Lost Boyz. The tracks "MMM," "All or Nothing," "Workin," and "Blow a Check" embrace the southern trap sound that we rarely hear from Puff. MMM features production from Puff himself, along with his production team, The Hitmen, Mike WiLL Made It, Hit-Boy, Travis Scott, KeY Wane, Harry Fraud, The Mekanics, Smash David, DJ Fu, Marz, and Ayo & Keyz. Working with a younger generation of rappers and producers is a smart move, and a solid attempt to connect with millennials — a difficult task for those who rose to fame over 20 years ago. My favorite song on the mixtape is "Help Me," which features singer / songwriter Sevyn Streeter. The track commences with the character Mitch talking about his love for the drug game, with a sample of Darkside's "Golden Arrow." After the intro, Diddy spits some of the hardest bars of his whole career. He raps about the lifestyle of every hustler on the corner slinging anything they can day and night to make ends meet. He eventually leads in to his success, the cons of being wealthy, the death of Biggie, and the creation of Bad Boy Records. Lyrically and production wise, "Help Me" is top notch. Now we all know Puff doesn't write rhymes, he writes checks. That's fine with me! As long as the music is dope, we have no complaints. When you have six kids, when you have other things you wanna do to take things to the next level, sometimes you got to make decisions to end certain chapters. And for me, I want to have fun, put out my best music, and I want to go to the next thing that God has destined for me. In my opinion, MMM is a decent project. While the Paid In Full theme gave the mixtape a cinematic feel and made it somewhat entertaining, a majority of the songs aren't strong enough to make the project a great listen. The production is greater than the lyrical content. The record is fun and enjoyable, but the storytelling falls a little flat. However, I do have faith that No Way Out 2 will be dope and the perfect grand finale to Puff's historic music career. Pick up MMM on Amazon. It's also available on Spotify and Apple Music. Exactly two weeks after the project's release, Puff unleashed the "MMM Documentary" on his YouTube Channel. For more music, news, videos, and tour dates from Puff Daddy, visit his Zumic artist page.